The Cobra GT3240VZ is a high performance cordless Grass Trimmer. It is powered by a 40v Li-ion Samsung battery and has a 28 - 32cm cutting width. 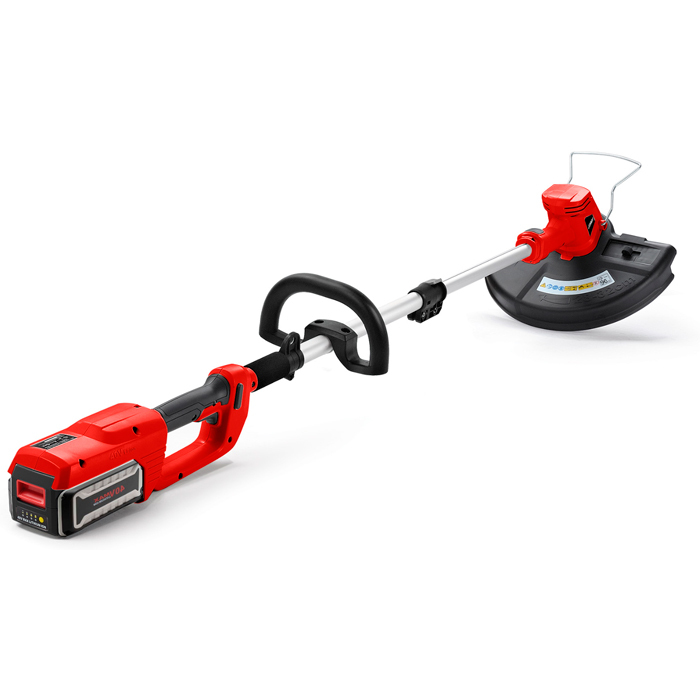 One Battery Fits All - Powered by a 40v Lithium-ion Battery (sold separately) - Cobra's 40v Li-ion system consists of a range of 3 Lawnmowers that come complete with 1 or 2 batteries and 3 hand held garden tools. All Lawnmowers and garden tools in this range can be powered from a standard 40v Samsung battery and charger. Adjustable Angle Head - GT3240VZ with 45° rotating head - The Cobra GT3240VZ is easy for trimming boarders and lawn verges. Just press a button to rotate the head through 45°. Ergonomic Controls - Intuitively Positioned Operator Controls - The Cobra GT3240VZ cordless grass trimmer has been designed to make trimming your garden a simple and effortless task. The ergonomically positioned controls not only makes operator use more comfortable, but gives greater manoeuvrability.